I tried to import from 1Password. 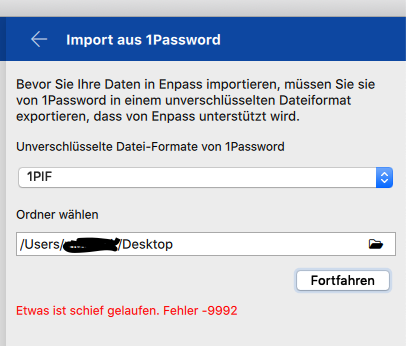 Language is German, both 1Password and Enpass. Change language of 1password to English and export. Let me know if it didn't go as expected. Actually I even tried to import from ENPASS CSV templates (in english) and i have the same error??? Please let me know which Enpass and 1Password version are you using so that we can investigate it further.